Welded Aluminum Boats are what we do. The Lewis-Clark Valley is home to many of the best welded aluminum boat manufacturers in the world. Whether equipped for jet pumps or outboard propeller drives, these boats are the lightest most durable products on the market. 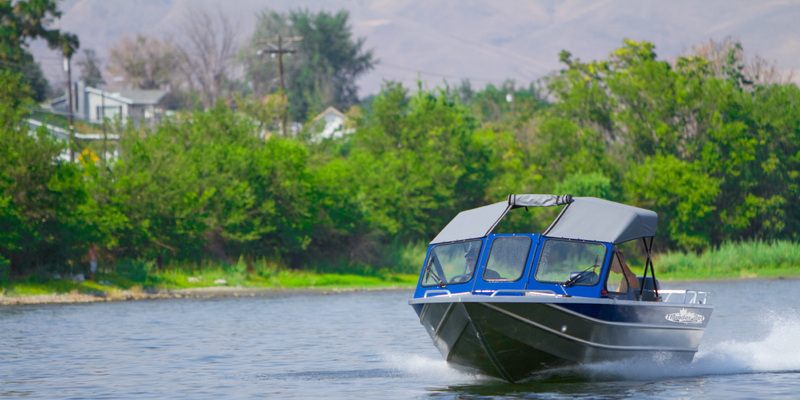 Since the early 1970s our boat builders have been meeting the demand of their customers with boats originally designed to handle the extreme challenges of the Snake River in Hells Canyon and the notorious Salmon River whitewater. Welded aluminum boat designs have evolved over the years to include a wide variety of uses, from commercial whale watching operations, to the water skiing enthusiast. Welded aluminum designs are extremely popular for all fishing applications due to their durability and ease of maintenance.